Authentic industrial grade 2.5" and 1.8" Serial ATA (SATA) Solid State Drives (SSD)* for military, medical, and industrial customers. *Solid-state drive (SSD) is often referred to as solid state disk. Pseudo SLC (pSLC) and multi-level Cell (MLC) SATA III SSDs are available at lower prices. Please contact Sales Department at sales@amtron.com, phone (323) 265-8076, or fax (323) 488-9747, to inquire the most updated pricing and lead time. Optional features such as Quick Erase, Conformal Coating, etc are available [listed on page 26 of Data Sheet]. Optional features such as Quick Erase, Write Protection, Conformal Coating, etc are available [listed on page 21 of Data Sheet]. APRO HERMES-F series industrial SLC SATA III SSD [2.5", rugged metal, 7-pin+15-pin] are available from 8GB to 256GB and in industrial extended temperature grade (-40°C to +85°C) or standard temperature grade (0°C to +70°C). APRO HERMES-F series Multi-level cell (MLC) SATA III SSDs are available at lower prices. APRO HERMES-HR series industrial SLC SATA III SSD [2.5", rugged metal, 7-pin+15-pin] are available from 8GB to 256GB and in industrial extended temperature grade (-40°C to +85°C) or standard temperature grade (0°C to +70°C). 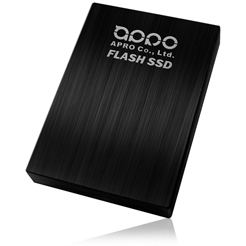 APRO BON-III series industrial grade SLC SATA III SSD [2.5", rugged metal, 7-pin+15-pin] are available from 8GB to 256GB and in industrial extended temperature grade (-40°C to +85°C) or standard temperature grade (0°C to +70°C). C : Optional conformal coating is available upon request with extra charge. APRO BON-II series industrial grade SLC SATA III SSD [2.5", rugged metal, 7-pin+15-pin] are available from 8GB to 256GB and in industrial extended temperature grade (-40°C to +85°C) or standard temperature grade (0°C to +70°C). 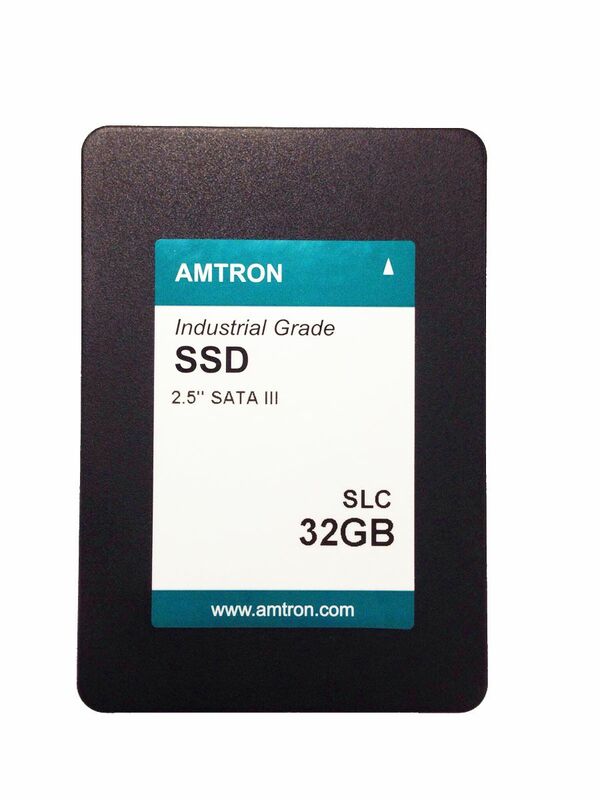 APRO BON-II series multi-level cell (MLC) SATA III SSDs are available at lower prices. APRO Hermes-HR series industrial grade rugged metal 7-pin+15-pin 2.5" SLC SATA III SSD, supports DDR III SDRAM Cache, are available from 8GB to 256GB and industrial extended temperature grade (-40°C to +85°C) or standard temperature grade (0°C to +70°C). APRO PHANES-AR series multi-level cell (MLC) SATA III SSDs are available at lower prices. APRO Hermes-ER series industrial grade rugged metal 7-pin+15-pin 2.5" SLC SATA II SSD, supports DDR II SDRAM Cache, are available from 64GB to 256GB and industrial extended temperature grade (-40°C to +85°C) or standard temperature grade (0°C to +70°C).